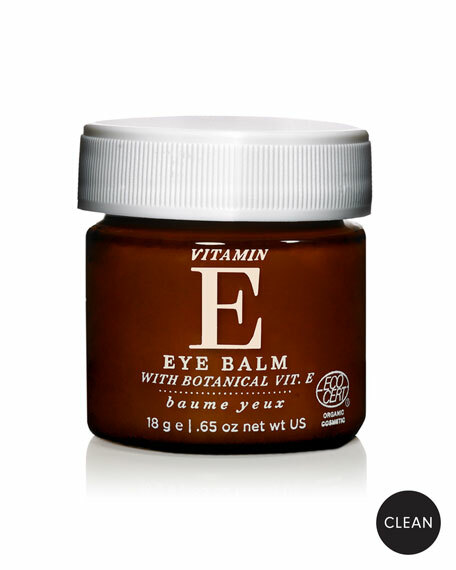 A powerful blend of Vitamin E, organic shea butter, pomegranate and sea kelp, this luxurious, intensely rich eye balm helps to smooth, firm and provide continuous hydration. Radiance Complex: eyebright, gotu kola and rooibos tea to tone and refresh. Sea Kelp: protein-rich sea kelp to help firm the appearance of skin. Moisture Complex: pomegranate, shea butter and Vitamin E to deeply moisturize.